Are Big Data tools applicable in HPC? It’s been more than a week since the Summer of HPC program began, and these days have been quite interesting, getting to know members of the Computing Center of the Slovak Academy of Sciences and finding out more details about the project I will be working on. The aim of my work here, is to ascertain if it is useful to use typical Big Data tools to solve High Performance Computing problems. This will depend on the computational time required using tools such as Scala and Spark. 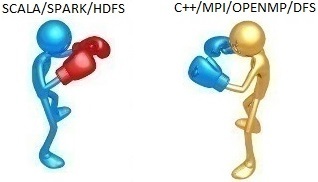 This will be compared to ‘equivalent more traditional’ approaches such as using a distributed memory model with MPI on a distributed file system such as HDFS (Hadoop Distributed File System) or BFS (Baidu File System) and native C libraries that create an interface to encapsulate this file system functionalities. To be more precise, in order to perform fair comparisons, we’ve chosen the K-means clustering algorithm, rather than the initially proposed Hartree-Fock algorithm. This will be run on variable size datasets obtained from bioinformatics studies and we will compare the computational run time and time resilience of both approaches. 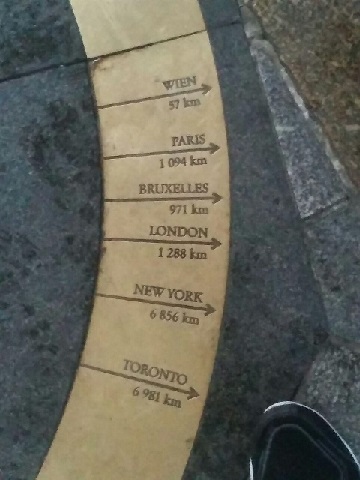 Of course, not everything in Bratislava is centered around work. The guys of the computing center have introduced me to ‘the game of darts’! My colleague Andreas has already played several times before, so he has some advantage. 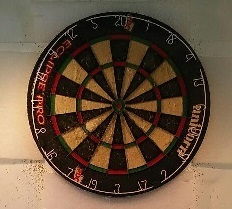 I find darts quite entertaining and useful to disconnect a little bit from the project and clear the mind. I must admit that I am a little bad at playing darts, as can be confirmed by the image on the left. We have also had some time to visit parts of the city, and although it is small, I found it attractive to my liking, with multiple restaurants where one can taste traditional Slovak food. Up till now, the traditional dish I liked the most is the Bryndzové Halušky, which is basically potato dumplings with sheep-milk cheese. Also, since we are in summer, we have tried some good ice cream in Bratislava, and apparently we have been fortunate enough to try one of the best ice cream places in the city: KOUN. If you want to have a good ice cream in Bratislava, I recommend you this place to 101%. To conclude, we also had the opportunity to enjoy the performance of a local music band, playing the song Angels by Robbie Williams – see my video below.